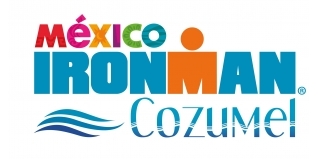 Ahead of Sunday's Ironman Cozumel I interviewed Great Britain's Corinne Abraham, who was returning to an Ironman start line for the first time since winning the same event in Mexico 12 months ago. While fourth place meant that she wasn't able to extend her winning run of "an Ironman win every year" to a fourth year, she can take a lot of positivs from the race. Despite having a double puncture on lap two, she finished just 11 minutes back on race winner Michelle Vesterby, who finished sixth at Kona this year. Closing the day with a race best marathon on 3:07:44 was a positive sign - let's just hope she can stay in one piece for 2017! "Happy with the day overall - really great to be out there racing again & performance wise I'm not complaining"
The men's race was won by former Ironman World Champion, Frederik Van Lierde (BEL). At the front of the race all day, he held off the running efforts of Matt Russell (USA) to take the tape. It wasn't such a good day for Stephen Bayliss. His usual swift swimming left him with the leading group at T1, he would eventually finish in 9:55:49, 27th MPro. Massive thanks to all volunteers today - you were epic!